The Pigeon wants to end DIY web design. Your time and money are important. Why are you searching Google like a crazy person trying to fix or design your own website? Your children miss you. Your friends want to hang out. Let us help you. We create websites with your key audience in mind. Depending on where you are as a business, a simple one-page site with good content might be all you need. Or, if you are more established, it might be time to blow your competition’s website out of the water. We can help you with both! We build e-commerce sites with user experience and security as a priority. Like web design, in e-commerce it can be easy to over-customize and create complexity where simplicity is important. It should be easy for your customers to buy your products and services online. It is good for them and good for you too. If you are not ranking well in search engines you are losing business. We optimize your content for keywords your customers are using to find products and services like yours. We also create content and run campaigns to get others to link to your site. We connect you with your ideal audience through writing, online and in print. Words matter, and meaning changes from person to person. So we develop your ideal customer into a profile that helps you make a meaningful connection with your audience. And that connection leads to sales. We employ design concepts to build (or rebuild) a brand that is uniquely yours. Our branding services include a combination of everything we offer to make sure your message is consistent and accurate. Like a good song, a strong brand is moving and requires all instruments working together. We teamed up with Patrick Dougherty, M.A., L.P. to create a brand around moving through collective trauma and social despair. We used a minimalist design approach to highlight Patrick’s expertise as a counselor. 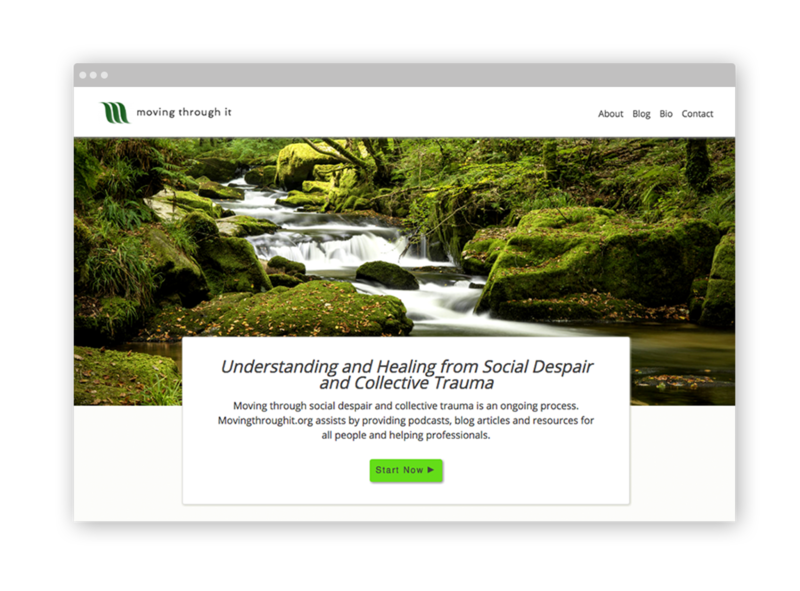 The website provides blog content, podcasts, and video and delivers a world class healing experience for victims of trauma.